to knowledge, relationships and solutions! Forward-looking speakers and educational workshops that are ready to engage, empower and equip you with the skills you need to succeed. Numerous opportunities to build relationships through seminars, conferences, mixers and volunteering that will enable you to be #HRStronger. Access to industry leaders and subject matter experts, products, technology and service providers that will have a positive impact on your organization. 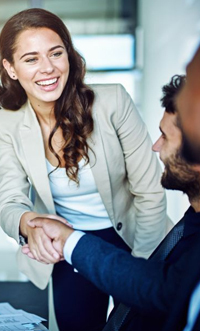 Through the HR Houston Career Center, top human resources employers can connect with the best HR professionals. Employers can post their human resources careers while job seekers can find their next HR career by searching jobs and posting resumes. Get started today! 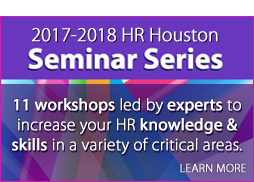 Here you will find our Calendar of important HR events, outlining significant activities delivered or supported by HR Houston and their partners throughout the year. 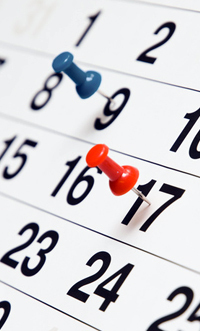 Make sure to check the calendar often to view updates and new educational opportunities that await you! As an affiliate chapter of the Society for Human Resource Management (SHRM), HR Houston has over 2,000 members working in HR-related positions throughout the Greater Houston business community. Get Connected! Join Us Today! 2/14/2019What’s the Shelf-Life of an HR Competency? 1/24/2019Learn How You Could SAVE Up to $1,430 on Symposium Registration!